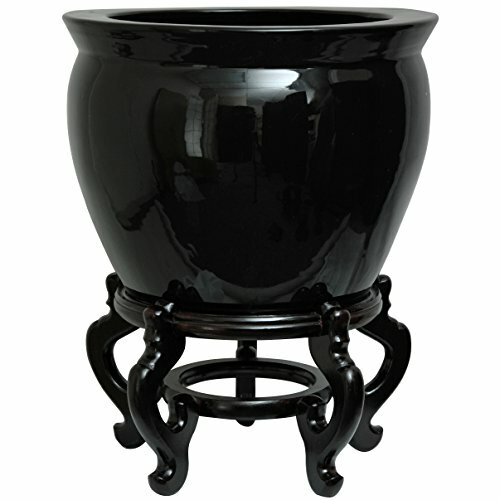 Asian style fishbowl in a high luster Zen monochrome black. Sized for the largest house plants and indoor trees species, perfect in formal living rooms, offices or hotel lobbies. Fishbowls of this size are sometimes configured with 30" or 36" tempered glass tops and oriental lacquered chairs to create a unique table and chair set. These are among the largest size porcelain fishbowls imported into the U.S.